2019 Holiday Season at El Oceano Luxury Hotel & Restaurant, Spain. 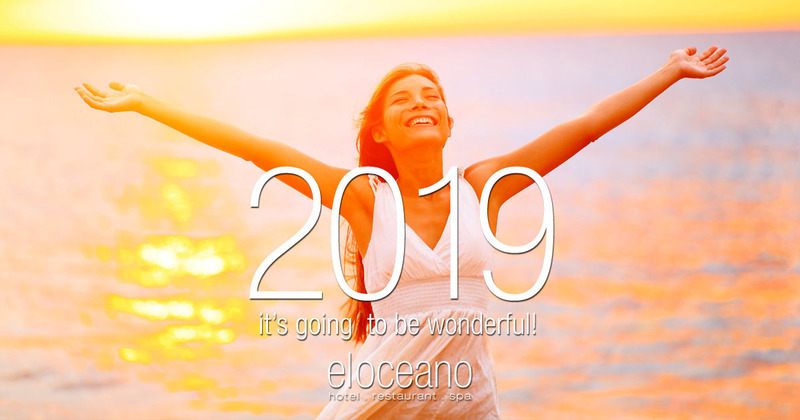 2019 at El Oceano Luxury Beach Hotel and Restaurant. The 2019 Season has now begun! El Oceano offers wonderful, luxury holidays in Spain. Expect a few changes to the Polynesian Pool Bar and gardens! ‘Luxury’ just took another step up! The Sensational 2019 Season has started! The fabulous El Oceano Hotel and Restaurant re-opened its doors for another sensational season on the 4th of April! If you haven’t already booked your 2019 place in paradise, maybe now is the time to do it! We’re already taking bookings for the busier periods and events, so don’t miss out! Expect Changes Outside in 2019! Over our winter hibernation, we are fully re-vamping our Polynesian Pool Bar garden area! The Pool Bar roof has been completely replaced, the pool is being re-tiled and I happened to see the delivery of the new terrace furniture and, while I didn’t see too much, I could see that it looks very rather nice! More news on that as it becomes available! Naturally, there’ll plenty of entertainment throughout 2019, but here are just a few of the highlights, up to Easter 2019! The 2019 Randox Health Grand National Enjoy the ‘Sport of Kings’ at El Oceano! 49€ per person, includes fabulous 3-course menu. Always a popular event at el Oceano, the Grand National is a fabulous day out! Sarah Jayne’s Tribute to Dolly Parton. In this unique tribute to the Queen of Country Music, Sarah Jayne has produced this wonderful show which oozes charisma, character and professionalism! Nikki Rae returns to El Oceano for the first visit of 2019!! A wonderful singer and truly talented entertainer, Nikki’s tribute to Adele is amazing!! 45€ per person, including fabulous, 3-course El Oceano menu! Our monthly Full Moon Gala Dinners are something quite special! You’ll have the best seat in the house to witness a spectacular evening, as the full moon ripples on the Mediterranean! Don’t miss it!! Sundays are busy, Easter is busy, Easter Sunday is going to be incredibly busy!! No doubt, the best Sunday on the Costa! We know, it sounds a little like sales blurb, but really, BOOK EARLY! The Jersey Boys!! The story of Frankie Valli and the Four Seasons is a spectacular show from Ben James! It’s been a while since they’ve been with us and we’re very much looking forward to it! Book your tickets! As the temperature warms up, the flowers begin to bloom and the Costa del Sol is a beautiful place to be! Post-Easter and pre-summer, the crowds aren’t so noticeable and Andalucia is your for the exploring! 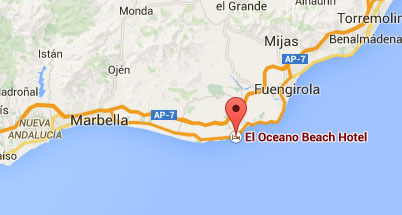 While on holiday at El Oceano, take a drive out to some of the beautiful places we have here… Mijas Pueblo is very nice indeed, just down the road, La Cala offers a pleasant afternoon at the beach, or if you’re feeling like an exciting city day, Málaga is just a short drive away. Spring really is wonderful on Mijas Costa! Already, we’re taking many bookings for the high season! Especially Sundays! We genuinely recommend you book early, as places really don’t last long for the high season months of June, July and August!